The EU has ruled out any decision-making role for the UK when it comes to foreign and defence policy post-Brexit. 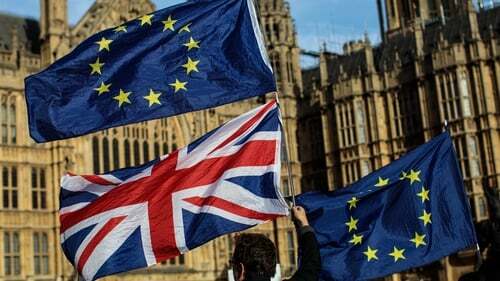 The promise to restrict Britain’s involvement is contained in a letter to member states, seen by RTÉ News, which declares there will be no "outside interference" in the EU’s decision making process. The letter follows concerns raised by Cyprus that Britain would have a privileged role in the EU’s foreign and security policy. It is understood that Cyprus, as well as Greece, is concerned that any access to EU meetings in the area of defence and security would become a precedent for Turkey to seek similar access. The letter makes it clear that any consultations between the EU and UK on security and defence would be strictly informal, and that no "written documents" could be used to influence the EU’s policy. It is understood Cyprus raised concerns about promises over future security and defence cooperation contained in the Political Declaration on the future relationship. The Declaration suggests that the UK could be invited to "informal ministerial meetings" as part of ongoing consultation and dialogue on security and defence issues. The meetings would be at the invitation of the EU’s High Representative for Foreign Affairs and Security Policy, a post currently held by Federica Mogherini. The Declaration also says that as part of a "flexible consultation" between the EU and UK in this field, there could also be meetings at ministerial, senior official and "working" level. However, Cyprus has raised concerns that such cooperation for a third country could set a precedent for Turkey seeking similar access to the EU’s security and defence policy meetings. In the letter, the European Council’s legal services state they have examined the Political Declaration and have concluded that there are "strong guarantees ... written in to ensure that the work of the Council and its preparatory bodies is effectively protected from outside interference". The letter says that the Political Declaration makes it clear that the UK "as a third country, is not a party to any institutional deliberation at whatever stage." It continues that any invitation to EU security and defence meetings would only be approved by the High Representative if they were seen as "appropriate" and the invitations would only be to "informal" gatherings of EU foreign and defence ministers. The letter makes it clear that no written documents that were to arise from any meetings the UK was attending could be used "as an input for ulterior [European] Council work." This was specifically "precisely circumscribed" by rules dating back to 1999 during an EU summit in Helsinki. The letter concludes that the European Council Legal Service will be "very vigilant in all future processes in which a need to protect the autonomy of decision-making of the Council".